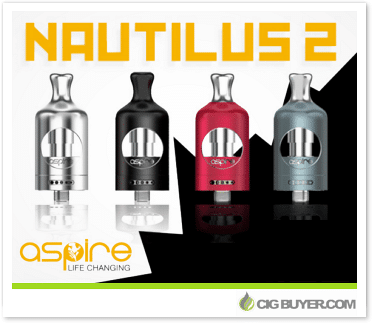 For many of us, the world changed when the first Nautilus tank was released just a few years ago, and they’ve finally released an updated version of this “Hall Of Fame” product – the Aspire Nautilus 2 Sub-Ohm Tank. It’s been completely revamped on the outside and looks nothing like the original, but still uses the same BVC coils with a rugged new 22mm sleeved exterior. Specifically engineered for creating robust flavor and generating the tighter, more restrictive draw of MTL style vaping, the Nautilus 2 Tank is top-filled with added adjustable airflow holes and a 4mm bore drip tip.